This week Drake shot the video for his 'Why U Always Hatin' collaboration with YG, J. Cole was spotted riding a bus in NYC and someone made a mural for Taylor Swift after her feud with Kanye. 1. Roc Nation exec Lenny S. shared the story of Kanye West making 'Otis' in his hotel room. "Kanye had to catch a flight if I'm not mistaken. We were almost towards the end of the album and he was telling everyone in the room that as soon as he returns, he wanted to f*ck with this Otis Redding sample idea he had. 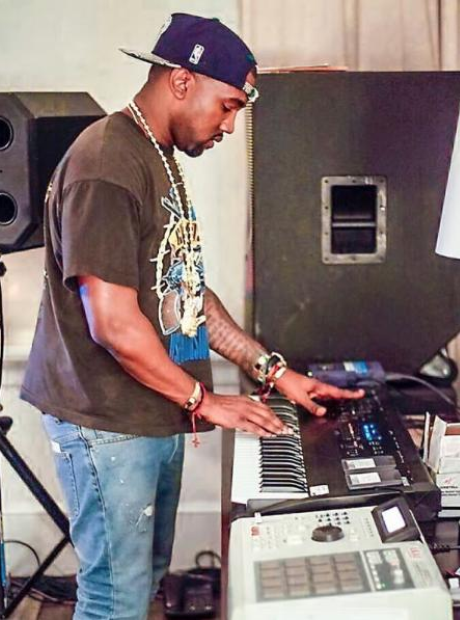 He then approached the MPC and Keyboard and plays it. Everyone in the room does the ugly face like when you hear some dope sh*t or see the sickest slam dunk at a contest. Lol. He then begins to chop the sample lil by lil (But fast) and actually starts creating the track." 2. YG shot the video for 'Why U Always Hatin' featuring Drake. 3. J. Cole was spotted riding a bus in NYC and took a picture with fans. 4. An artist made a Taylor Swift mural following her feud with Kanye West but made an EPIC mistake! 5. Disclosure enjoyed playing Pokemon GO and their plane. 7. The Game linked up with the Mayor of LA to try and ease tensions between locals and police officers. 8. Drake kicked off his US 'Summer Sixteen' tour alongside Future. 9. Jhene Aiko showed off a new look for her current 'The High Road Tour' in the US. 10. Ciara looked stunning in her Cavalli wedding rehearsal dress.